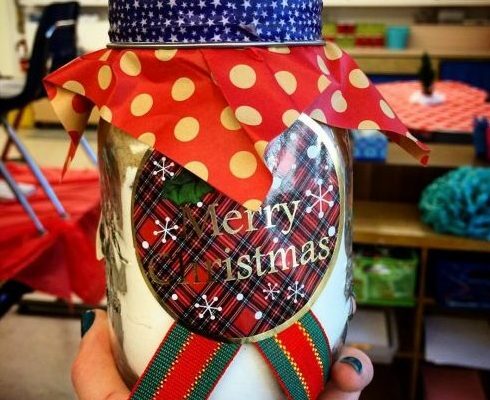 Last year for our Winter Party, we made some seriously cute gifts! Since I’ve learned that “parties” are always a bit chaotic, no matter how much planning is involved, I scheduled our party for the day before the last day of school. That way we had a day to gather our thoughts, belongings, and say goodbye to each other without me rushing them out the door and having a mess to clean up before my Winter Break! Preheat oven to 375° F. Beat 1 1/2 sticks softened butter, 1 large egg and 3/4 teaspoon vanilla in large bowl. Add cookie mix. Shape into small balls onto ungreased baking sheets. Bake for 9 to 11 minutes. 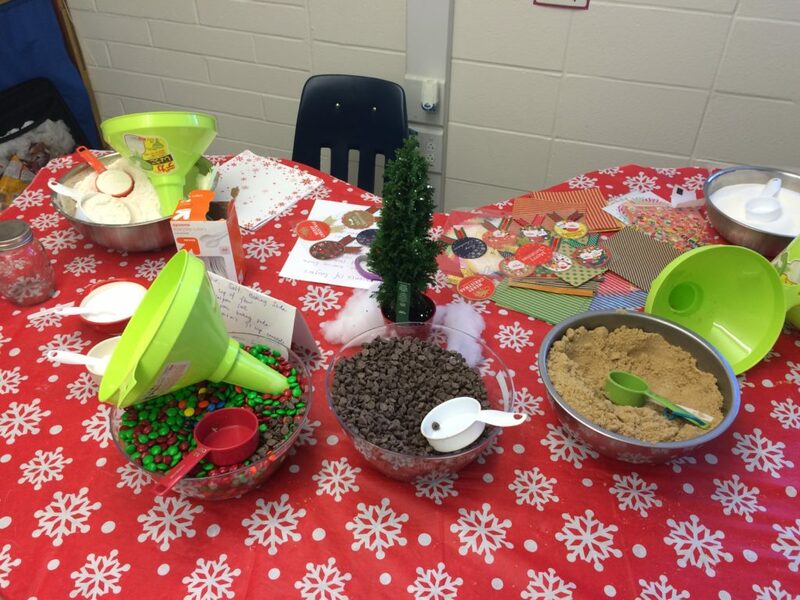 It was easiest to put out all the ingredients and have the students come through in a type of assembly line. I wanted the students to handwrite the baking instructions to give it that extra special touch so that was the first step. We used funnels to get the ingredients in and spoons to flatten out the ingredients in between each addition. The last part was to put the fabric over the cover, put the Washi tape around the screw on lid, and stick the label and decorative stickers on the jar! Super cute, quick, and useful gift!